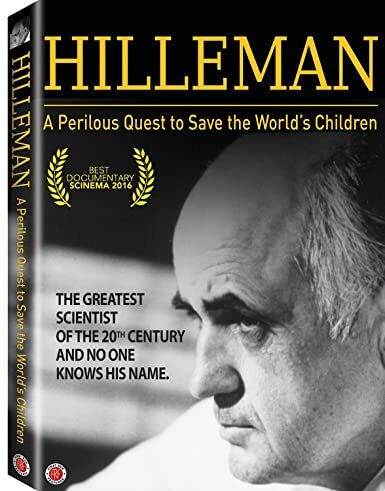 Hilleman: A Perilous Quest to Save the World's Children - BUY THIS DVD! Maurice Hilleman had a singular, unwavering focus: to eliminate the diseases of children. From his poverty-stricken youth on the plains of Montana, Hilleman came to prevent pandemic flu, invent the measles-mumps-rubella (MMR) vaccine, and develop the first-ever vaccine against human cancer. Responsible for more than half of the vaccines children receive today, he is credited with saving more than eight million lives every year. Now through exclusive interviews with Dr. Hilleman and his peers, rare archival footage, and 3-D animation, this new documentary puts a human face to vaccine science, revealing the character that drove this bold, complex, and heroic man. When parents began choosing not to vaccinate their children in the 1990s, a cruel irony became clear; Hilleman s unprecedented successes has allowed us to forget just how devastating childhood diseases can be. THEN SEND IN A COMMENT ABOUT YOUR FAVORITE FUNIMATION TITLE (you may click on artwork above for a refresher) PLUS YOUR NAME AND ADDRESS TO contests@efilmcritic.com or WeLoveHBS@aol.com. (Just one e-mail please.) Put [b]"IS THAT MAGNUM P.I. 'S PARTNER?" in the subject line and cross your fingers. We will draw names and one of the prizes could be yours. Only 1 entry per household.